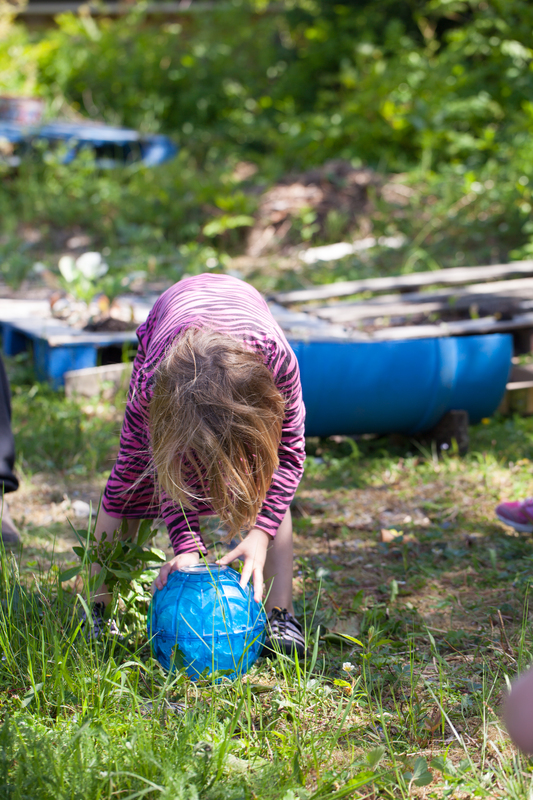 We are lucky enough to have two June birthdays close together, and since we have been working with our girls to foster an appreciation for outdoor fun, we chose a camping theme this year. 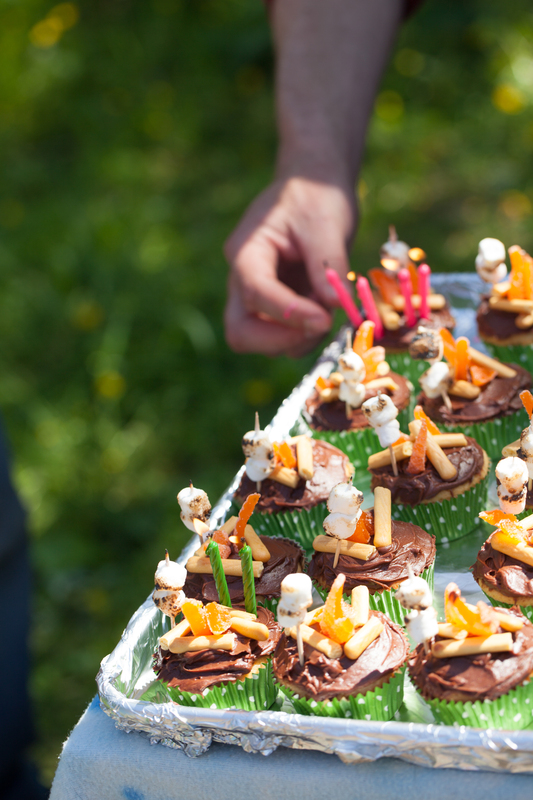 I saw some very adorable campfire cupcakes on Pinterest awhile back that inspired me, so I decided to give them a whirl. Living in a (very) tiny town, I could not find stick pretzels at either grocery store, and substituted with cookies sticks. 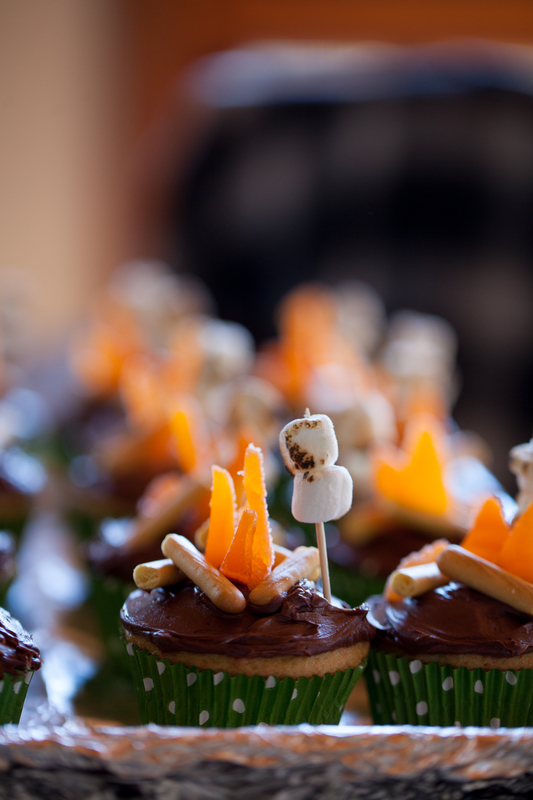 For the flames, I used candy orange slices and cut them further into triangles, and the marshmallows I toasted on toothpicks over my propane stove. So much fun to put together, and they were definitely a hit with my kids and their friends. Since the party fell on the hottest day of the year so far (almost 90 degrees! — in Alaska! ), we opted out of lighting a real campfire, and instead cooked our hot dogs on the grill. The kids mixed their ice cream in our ice cream ball for their party game, and we pitched a tent for some camping inspired make-believe play. Our kids are young enough (2 and 4), that this was plenty of entertainment for all the kids. We sent the kids home with trail-ready favor bags, each containing a Capri Sun, an Odwalla granola bar, and a Go-Go Squeeze applesauce pouch. I’m not a fan of cheesy plastic trinkets, and not much a fan of pre-packaged food either, but it was nice to be able to send a small token of thanks with some of our favorite adventurous families. I ended up with a few extra bags, and they actually have been super helpful the past week in getting the kids motivated and out the door. I just grab a bag for each kid, throw them in my pack, and we’re ready to hit the trail or go to the lake. 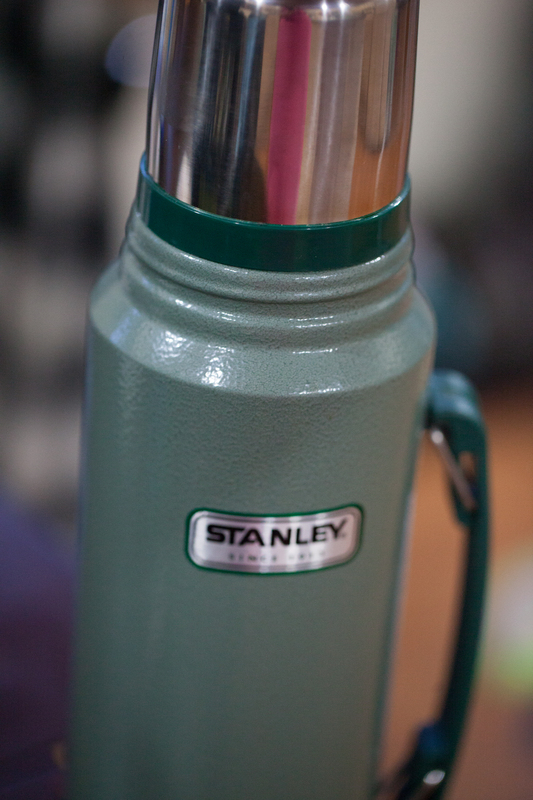 Will definitely be working on getting some more eco-friendly and possibly reusable options made for future hikes! Thank you! It was wonderful to celebrate outdoors! Also, beautiful blog..just wow! I took a peek, and I am honored that you are my first follower! Absolutely! We all have to start somewhere! Keep up the good work.